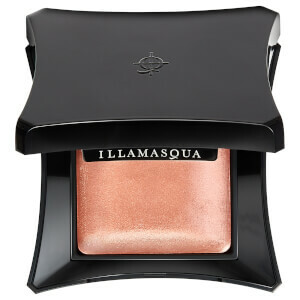 Illuminate the complexion with the Illamasqua Beyond Powder in OMG; a shimmering champagne hue that instantly warms skin. The silky powder glides effortlessly over skin, and can be used for an all-over illuminated finish or applied with more precision to perform like a highlighter. Perfect for illuminating the high points of the face and reflecting light, the powder is effective when worn on the top of the cheek bones, brow bones and even the collar bones. 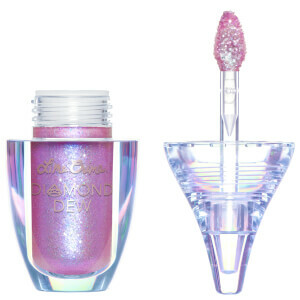 Apply dry for a sheer, natural shimmer or apply the powder with a wet brush for a more dramatic, metallic finish, with long-lasting effect. Apply with the Highlighter Brush to the tops of the cheekbones to add instant shimmer and shine. Buff onto the collarbone and shoulders to give an elegant golden glow to the skin. 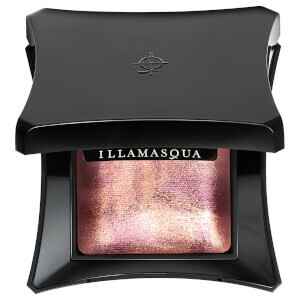 Tip: Dampen an eye shadow brush to create a high shine metallic eye shadow with an ultra long lasting finish. Synthetic Fluorphlogophite, Dimethicone, Hectorite, Mica Ethylene/ Acrylic Acid Copolymer, Octyldodecyl Stearoyl Stearate, Benzyl Alcohol, Sodium Silicoaluminate, Sorbic Acid, Dehydroacetic Acid, Aqua/Water.